Initially documented in this research blog, the written part of the project concentrates on the recapitulation of theoretical and creative processes behind its production. Lumino Kinetic and Beyond, a series of digital media experimentations that explores the properties of light and perception of space, for the purpose of digital media art and product design. 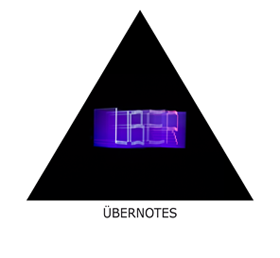 Initially documented in the research blog, ubernotes.blogspot.com, the final output includes, demonstration video and written report, concentrates on the recapitulation of theoretical and creative processes behind its production. The first phase of the project focuses on the investigations of the principals of light and optical illusions, while the second phase revolves around the development of installation art which glass prisms interact with an illusionary technique, Pepper’s Ghost, and a photographic and cinematographic process, Slit-scan and Light painting, which precisely take advantage of light’s behaviors. The final phase explores its possible integration into a substantial product, which is capable of being marketed. Research, experimentations and final work are formed by convergence of photography, motion picture, 3D animation and product design that result in a series of installation art exploring the idea of creativity filtered through luminous kinetic interaction. This project concludes that there is a constructive scope for contemporary media art promotion, which can reconstruct a marketable commodity from a unique piece of installation art.